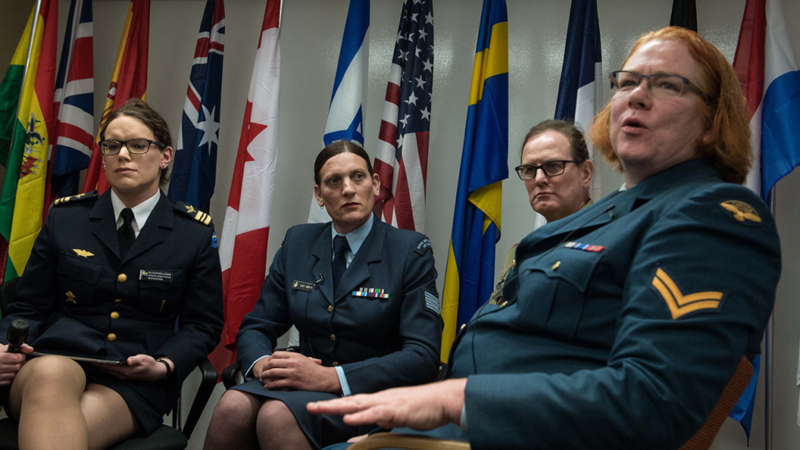 For over a year, the discussion around transgender individuals and the military has been fluid and unclear, leaving many affected individuals in an abyss while awaiting policy decisions. Though it has been an ongoing discussion, on July 26th, the issue of transgender individuals and the military re-entered the news cycle with a bang after President Donald. J. Trump posted a series of unofficial tweets which indicated an all-capacity ban of transgender individuals from the U.S. military. Then, for one month, there was no hearsay, directive, or legislation to support or clarify President Trump’s tweets. It wasn’t until August 25th that the issue was addressed in a formal way: President Trump signed a memo directive. (4) Secretary of Defense, James Mattis, was to conduct a six month study to determine how a ban on transgender individuals in the military could be implemented, including the effect it would have on current transgender troops and whether said troops would be allowed to remain in the military. Mattis was directed to submit his plan to President Trump by February 21, 2018 with an implementation date of March 23, 2018. Contrary to President Trump’s series of Tweets in July, his official memo directive did not reverse the Department of Defense (DOD) transgender policy which was implemented under the Obama administration in 2016. For now, the 2016 DOD transgender policy remains in place. In 2016, a RAND report indicated that there are so few transgender individuals associated with the U.S. military, that said individuals had minimal impact on the readiness of the military as well as healthcare costs. In June of 2016, the Obama administration chose to lift the prohibition on transgender individuals serving openly in the U.S. military on the basis of the information provided from the RAND report. At that time, the U.S. military also began funding gender reassignment surgeries for transgender troops who wished to do so. On September 20, 2016, the DOD handbook “Transgender Service in the U.S. Military” was published, and the policies within remain in place today. The handbook addresses the transgender individual’s period of transitioning to their preferred gender as it may impact the individual’s career in several ways including individual readiness: physical fitness. By current DOD policy, an individual cannot be involuntarily separated, discharged from, or denied reenlistment with the military for being transgender, but transgender individuals are subject to the same physical fitness standards as all other service members. 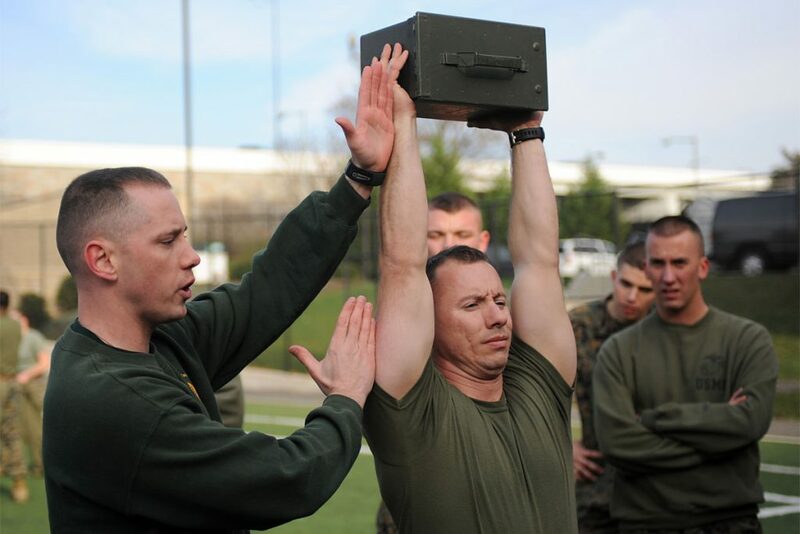 All service members in the military are required, at all times, to meet the standards of the Physical Readiness Training Test (PRT) for their gender marker in the Military Personnel Data System (MilPDS). According a Marine bulletin, an unclassified memo by the Navy, and a directive by the Army, these branches of the military all abide by the policies in the DOD Transgender Service in the U.S. Military handbook. The U.S. Coast Guard is a branch of the Department of Homeland Security, but according to the U.S. Coast Guard Transgender FAQ, their transgender service member policy mirrors that of the DOD. The Army directive and U.S. Coast Guard FAQ mentioned that a transgender individual’s period of transition is to be treated like any other medical condition, where the service member can be referred for a disability evaluation to determine fitness. The determinations remain on a case-by- case basis, where all individual facts and circumstances are considered, and the preservation of unit readiness remains as the overarching goal. As a branch of the DOD, the Air Force also abides by the DOD transgender service member handbook, but according to their memo published October 6, 2016, they have additional policies in place. Air Force guidelines state that transgender airmen who are in a period of transition and are currently undergoing hormone treatment, are able to skip the PRT. The protocol is as follows: the transgender individual must attempt to take the fitness test for their current gender marker in the MilPDS, proceed to fail the test, the individual’s commander must certify that the airmen fully attempted to complete the test by their current gender marker, then the record is sent up the chain of command to Air Force headquarters. Air Force headquarters renders a decision as to whether the airmen can be temporarily exempt from the fitness test. These are the fitness requirements of transgender service members for now. The nation will continue to wait until early 2018 to learn about possible policy changes for transgender service members.